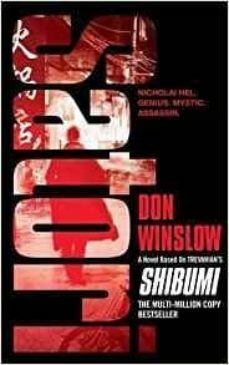 A gripping thriller that follows assassin Nicholai Hel across Asia as he fights to regain his freedom. Sugamo Prison, Japan, October 1951. Nicholai Hel has spent the last three years in solitary confinement for the murder of his mentor. A formidable assassin as well as a master of hoda korosu or 'naked kill', he has developed a supreme awareness of the presence of danger. Suddenly offered the chance of freedom, he feels it now as never before...Overseen by Haverford, his American spymaster he must go to Beijing and kill the Soviet Union's commissioner to China. In a landscape primed for war this is a suicide mission he has no choice but to accept. Can Hel succeed in winning his freedom and if so, at what cost? And can he ever achieve his ultimate goal of satori - the possibility of true understanding and harmony with the world? Basado, de laguna manera, en el libro de culto Shibumi de Trevanian esta obra no tiene nada que envidiar al original. Con una estupenda acción e intriga desde el principio hasta el final. Muy recomendable.